Cracked glass replacement on the iPhone 6S Plus. Includes parts, labor, and 90 day warranty. Touch screen and LCD must be in working order. No dead spots on touch screen or black/yellow spots on LCD. ​***LCD AND TOUCH MUST BE IN PERFECT WORKING ORDER WITH NO LINES, BLACK SPOTS, YELLOW SPOTS OR SCREEN NOT RESPONDING TO TOUCH. SCREEN MUST BE AN ORIGINAL OEM APPLE SCREEN WE CANNOT REPLACE TOP GLASS ON AFTERMARKET SCREENS. IF YOU HAVE ANY OF THESE ISSUES YOU WILL NEED THE LCD REPAIR BELOW. This is the repair you will need if the picture on your iPhone 6S plus is no longer working properly. It will replace both the glass and LCD. 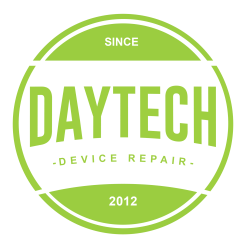 We repair cracked screens on the iPhone 6S Plus. Professional repair services for Kennesaw, West Cobb, Cartersville, Dallas, Douglasville, Villa Rica, Rockmart, HIram, Acworth, Marietta, and Powder Springs area for iPhone 6S cracked screen repair and replacement.